A must-read article by Michael Lewis for anyone interested in any of those 4 things. I'm interested in the last 3, personally. 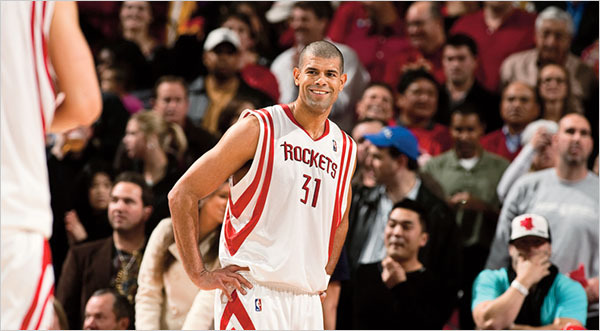 It's hard to be that interested in Shane Battier, to be honest... but that was before I read this article. Turns out he's a total badass. I'm a total sucker for articles about moneyball, especially when it comes to basketball... and especially when it is written by the actual author of Moneyball. I think over the next decade we're in for a huge shortage of analysts and statisticians in almost all fields of life. Availability of data is ever increasing. The benefits from using it more effectively than competitors are immense. In almost all of the startup businesses in our portfolio (venture capital firm), we've now hired number-crunching guys who do nothing but metrics and we're seeing the results. Statistics + computers + smart people = beat your opponent, whether it's Kobe Bryant or the startup next door.